This simple side dish of baby carrots flavored with lots of ginger and sweet dried fruit goes well with with curries and grain pilafs. Heat the oil in a large skillet. Add the carrots, juice, and ginger. 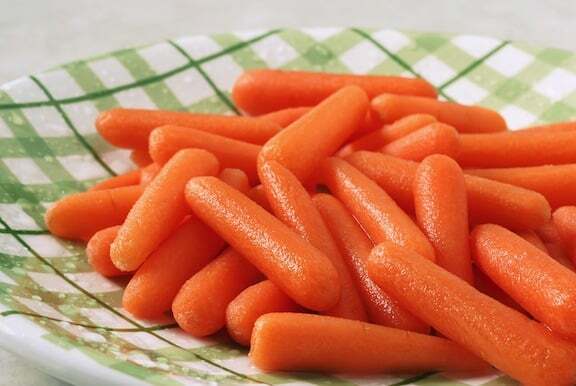 Cover and cook for 12 to 15 minutes, or until the carrots are tender-crisp to your liking. Stir in the remaining ingredients, cook for another minute or so, then serve at once.